Shout out to my significant other. I’ve been extremely busy these last few weeks, and Jared has been more than understanding. Our house is a wreck. My laundry is in two big piles. I can’t remember the last time I brushed my hair. But, Jared still loves me. We’ve been (mainly me) putting off doing some serious yard work. The longer we waited, the more I added to our to-do list. Yesterday, when I arrived home after class and work, Jared was basically done with all the work. The nasty dead vines were gone. 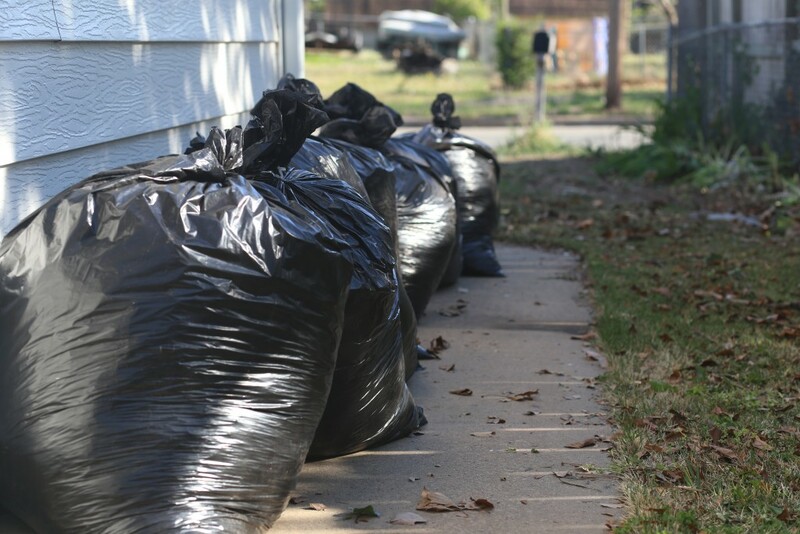 The leaves were bagged. Jared had a dirt and sweat mustache. All I could do was smile. Jared and I are the type of couple who do everything together. People probably think it’s gross how much time we spend together. But really, we have our lives planned to do the big things, like clean the yard, together! I take full responsibility that it had not been done yet. I was busy. I had homework. I thought it was too cold and windy. But, Jared found a free day with perfect weather, and took the initiative. Sometimes it is the little things in a relationship that are most important. 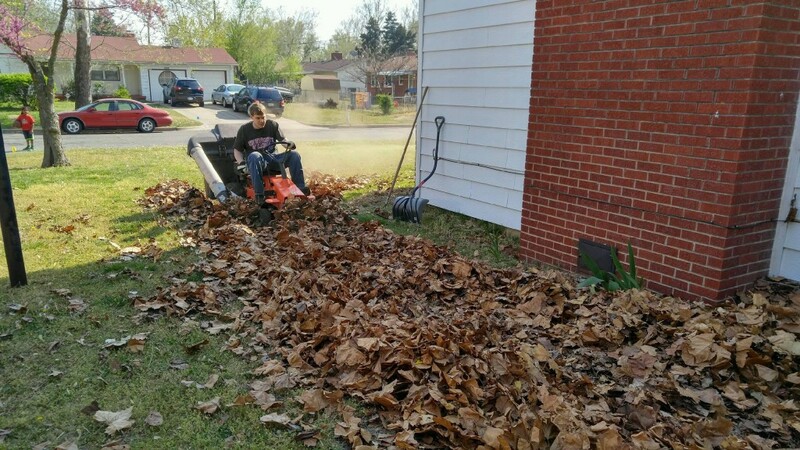 No, I don’t think spending his entire afternoon cleaning the yard is “little”, but he did it without being asked. Today, Jared is sore and tired. He drank a huge cup of coffee at breakfast. I could not be more thankful for him. It’s hard to put in words why this moment made me so happy. But it did. He’s great.